Complaints about rubbish collections in Brighton and Hove have more than doubled in the last year, councillors were told. 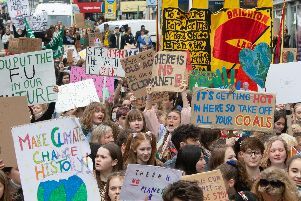 Brighton and Hove City Council logged 476 complaints in the first three quarters of this financial year, compared with 445 for 2017/18, according to a report that went before the environment, transport and sustainability committee. Speaking at the committee meeting on Tuesday (January 22), Green Councillor Leo Littman calculated that projected complaints as increasing by 116 per cent in two years. Referring to his Preston Park ward, he added: “Collection rates across the city were not brilliant over the Christmas period. In response he was told most complaints were related to missed collections and the modernisation should improve the process. Officers confirmed the number of complaints had reduced from July last year compared to April to June. Councillor Littman also asked what was being done ahead of summer, citing the need for visitors to ‘not bring rubbish with them or take it home’. In response, assistant director city environment Rachel Chasseaud said she had been at the beach earlier that day to discuss the need for more bins and extra litter pickers during the summer months. She added the environment team was working closely with events staff, particularly Brighton Pride, in an effort to deal with rubbish generated by significant numbers of visitors. Conservative Councillor Lee Wares has received numerous complaints from people living in his Patcham ward. Councillor Wares was particularly concerned about changes to the way recycling is collected from flats and homes on the hills around Hollingbury. Refuse collectors have collected up recycling in black bags, which the council provided alongside the recycling bins, and these have caused contamination issues once they reach the depot. The team collecting recycling in black bags have been told to stop as there were too many for Veolia staff to process and it was sent for incineration. Councillor Wares said: “The practice occurred because of the topography. What we don’t want to change is missing out on collections. He urged for better communication between workers on the rounds and the call centre dealing with customers. Councillor Joe Miller raised issues of Saltdean Oval and Sussex Square had issues with lack of collection during the Christmas period. He asked for more bins and pointed out people generate more cardboard from gifts over the Christmas period.